From One Book to Another is a feature on my blog Books Your Kids Will Love where I will feature books that fit within a theme and appeal to a similar audience. It answers the question I loved this book so what else can I read that is like this? For the Fairy Tale Fortnight I will be highlighting three books that retell the fairytale East of the Sun and West of the Moon. The Original tale can be found here It is a snowy tale from Norway with an enchanted snow castle a polar bear who turns into a human at night (but can not be seen by his girl) and a troll queen who wants to be his wife. This is a fantastic tale where the girl has to rescue the princess. 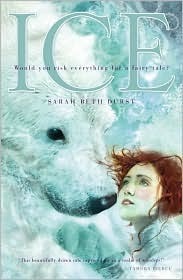 Ice by Sarah Beth Durst is a modern retelling of the classic tale. Ali our heroine lives at an arctic research station. She was told that her mother, the daughter of the north wind was taken away by the trolls and had been given to a magical bear. Cassie goes off with the bear and the story begins. Durnst makes the bear a creature that delivers souls and keeps the babies of his species from being still born and pregnancy is a theme in the book. 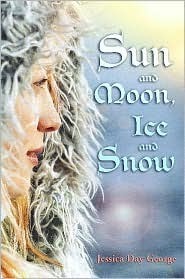 Sun and Moon, Ice and Snow by Jessica Day George is a more traditional retelling. This version features a girl with no name who talks to animals. Her brother goes missing for a year and returns with a coat covered in troll language which he teaches to her. A bear then comes to her and asks her to go with him in exchange for bringing wealth to her family. The troll language, her ability to talk to animals and the girls elationship with her brother are additions to the original tale. 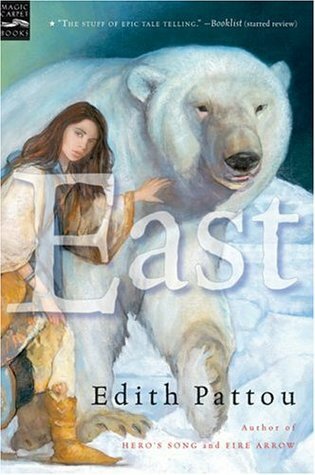 East by Edith Pattou is the longest and most literary of these retellings. In the tale a girl named Rose is a member of a large family which is very poor. She has always wandered and has on several occasions seen and felt a connection to a large white bear. When a bear comes into her home and promises to heal her sister and help her family out of poverty if she comes to live with him she agrees to go with him. The book is told from the viewpoints of many characters allowing the reader to have an understanding as to how each character thinks, I even at time found myself sympathizing with the villain once or twice. Rose's father is a map maker and Rose loves to weave fabric and both of these things help her along her journey. These three tales will be enjoyed by the entire young adult audience (although East is a more difficult read). The tale has one of the best heroine's you will find in a fairy tale. She is smart, resourceful, tough and not afraid to risk everything to rescue her prince or help her family. My last From One Book to Another post featured the The Twelve Dancing Princesses.